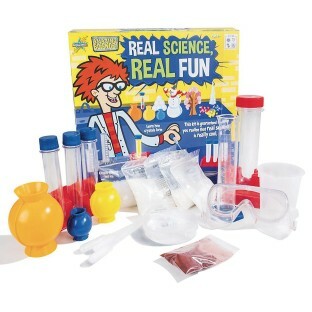 Guaranteed fun for budding scientists! This kit is guaranteed to show that real science is really cool by assembling some of the best experiments into one giant kit. From creating “Instant Hot Ice”, eggshell geodes, and other crystal forming activities to color changing liquids, stained glass sugar, convection currents, and more. These activities will not disappoint the budding scientist!